Photos: 3 available in format/size: RAW/JPG – 5472 x 3648 pixels. 75+ photos not presented on the webpage. 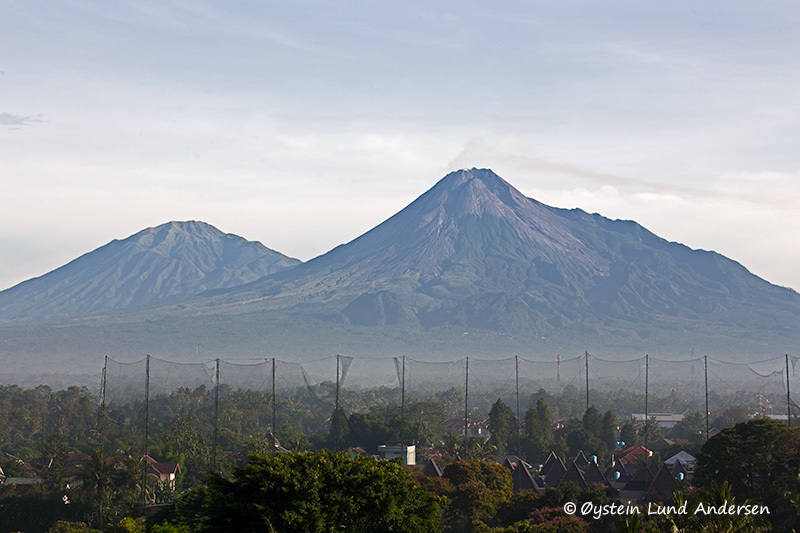 Visited the regency of Yogyakarta in the last days of December, and had excellent views of Merapi from a distance. 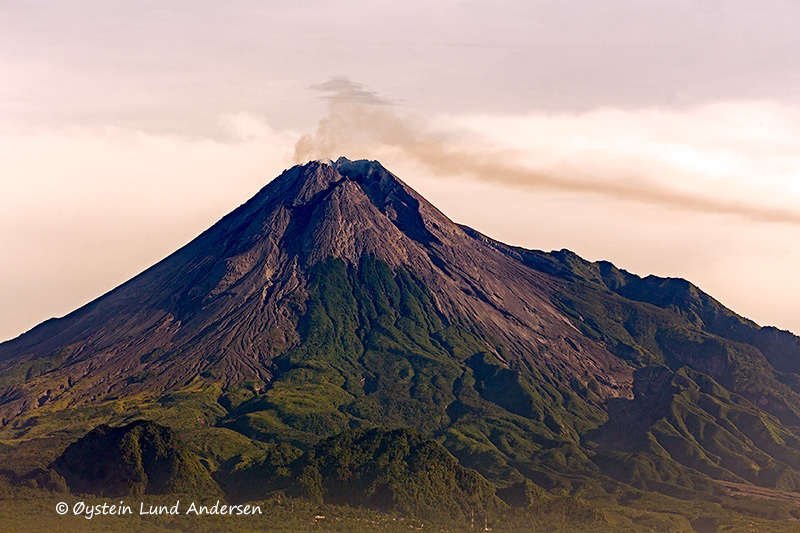 Merapi was relatively active in 2013, with several minor ash-emissions and gas explotions. 1. Merapi releasing a fair share of gas this morning. 2. 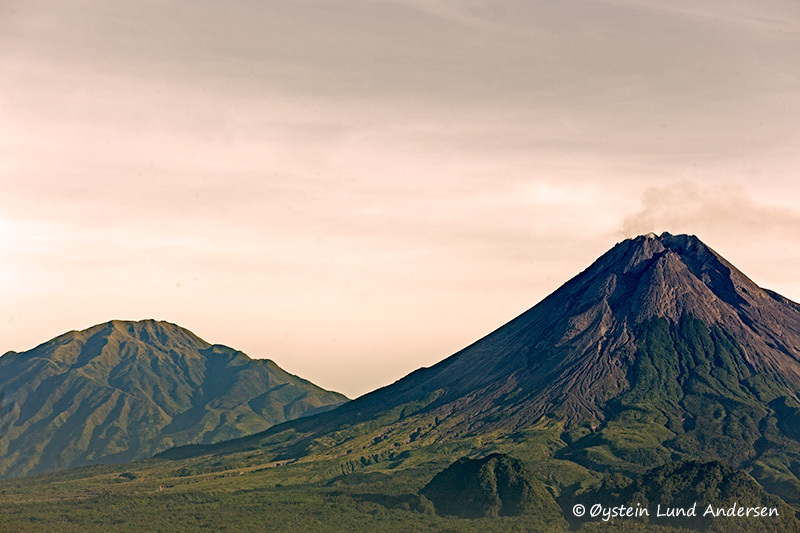 Merapi with its twin brother Merbabu in the background.